Glee Gum is all-natural, gluten-free chewing gum made without artificial coloring, flavoring, sweeteners or preservatives. Glee Gum is the only gum in North America made the old-fashioned way, with chicle! Chicle is a natural tree sap harvested sustainably from the rainforests of Central America. Once all chewing gum was made with chicle, but today most gum is made entirely from synthetic stuff. Not Glee! Glee Gum uses chicle because it is an eco-friendly way to help conserve the rainforest. Chicle is also what gives the gum such great, long-lasting chewing texture. 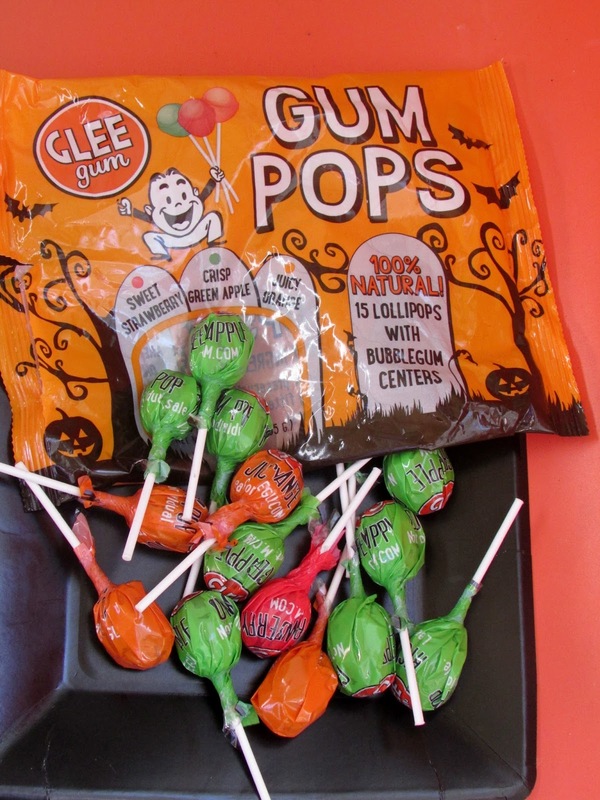 As a Halloween special, Glee Gum has Halloween Glee Gum Pops that are perfect to hand out to trick-or-treaters (or eat all on your own!) These hard candy lollipops have a bubblegum center. 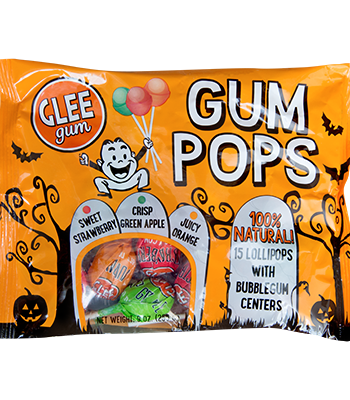 Available in three flavors - Sweet Strawberry, Juicy Orange, and Crisp Green Apple - these pops are made without artificial colors, flavors, sweeteners, or preservatives. Once you get to the middle of the lollipop, there is a gum center. The gum in the lollipops is made of the same chicle that's used in all other Glee Gum. There are 15 lollipops to a bag and each one is individually wrapped. I'd like to say that the package I received will be handed out this Halloween. As it is, they didn't make it! I'm as guilty as my teens in eating the lollipops. We like the flavors (Juicy Orange is my fave) and getting to the middle to the gum is the best part. I haven't seen these before. The sweet Strawberry sounds good!